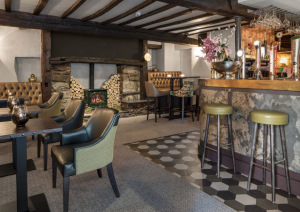 The Farmers Arms is an award wining pub, wine bar and restaurant located in the heart of the bustling market and festival town of Ulverston, situated opposite the market cross with views of the old cobbled streets. The perfect place to relax and watch the world go by. A finalist in the Cumbria Food and Drink Awards 2014, known by many as the best place to eat in Ulverston, South Lakes and the Furness area, at The Farmers Arms we offer fantastic homemade, locally sourced food, local real ales, fine wine and a large selection of lager, it’d be impossible not to find something that doesn’t take your fancy. The Farmers is a family run free house. The Chattaway’s have been successfully trading in Ulverston for over 35 years, they are the 5th generation of their family to own pubs and free house’s and have been at The Farmers for over 20 years. They pride themselves on loyal customer service ensuring every customer turns into a regular customer. The Farmers Arms is an Inn dating back to the 16th century, originally called “The Pack Horse”. This name came from the location of the Pub being a central passing point for those travelling through the town, tiered travelers would tie their horses up outside the pub and stop on their journey for a pint. Passerby’s would see horse’s outside the pub packed up high with all their owners’ belongings, hence the name “The Pack Horse”. The name changed years later to The Farmers, as it is known today. Many refurbishments have been made since the Chattaways became owners, whilst still maintaining the buildings original character. With long serving staff, some that have been at The Farmers since the Chattaways became owners. All staff are dedicated to ensuring all customers enjoy their visit and will come again, greeting every customer with a warm welcoming smile. 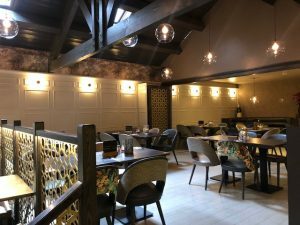 Over 20 years ago now the Chattaway’s re-opened The Farmers after a major refurbishment by extending the building to create a more open space. 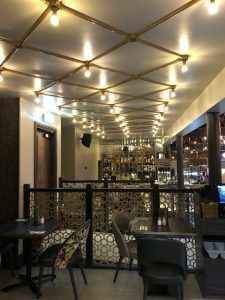 20+ years on in 2018 they have given the place another major refurbishment, maximising any space they could find available and to create an even better experience for our customers. 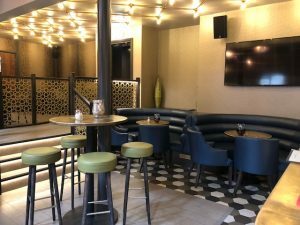 The Farmers now has a cocktail bar, dedicated restaurant area and they have still kept the traditional pub vibes in the front bar area. The ‘new’ Farmers now has a VIP Private dining area available to hire out for no extra charge! So if its a birthday meal or a small function room you need give us a call and request the private area for your dining experience. Available for a Minimum of 18 diners – maximum 22 diners. 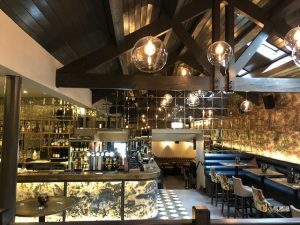 The Farmers, Ulverston Restaurant experience. The pub is open from 9am serving freshly ground Rijo coffee and breakfast. We also have a large breakfast menu with plenty of options to cater for all. Delicious lunches are available from 12 noon to 3pm, ranging from hot and cold filled baguettes, pizza’s, tasty salads & lots of nibbles & sharing boards. Our full menu is served from 12 noon to 2.30pm if you are wanting something a little bit more. You can enjoy an evening meal in our restaurant from 5pm to 8.30pm, choose from a selection of our freshly made meat and seafood specials or choose from our large evening menu, our mussels must be tried; all our specials change weekly so make sure you check them out! Booking is highly recommended to guarantee a table in the restaurant. Our cocktail bar area is available for walk in’s, we do not reserve this area. 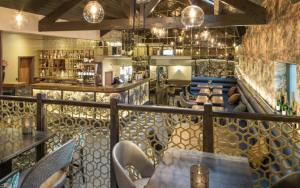 We now serve a cocktail bar nibbles menu on a Friday & Saturday evening from 5pm – 8:30pm. 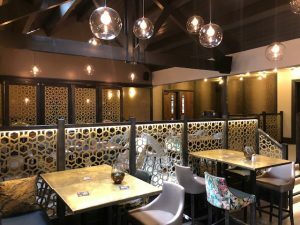 So you can sip on a lovely cocktail or one of our local ales and share some nibbles with friends. Come along and enjoy our warm friendly atmosphere with open fires in the winter, a sunny beer garden overlooking the towns cobbled street, and be entertained by the variety of street performers and Ulverston Festivals which take place in the town throughout the year. The perfect position to be wined, dined and entertained. Every Thursday evening is Quiz Night at The Farmers Arms. Join us at 9pm for our general knowledge quiz, prizes include beer and money – our jackpot rolls over each week!